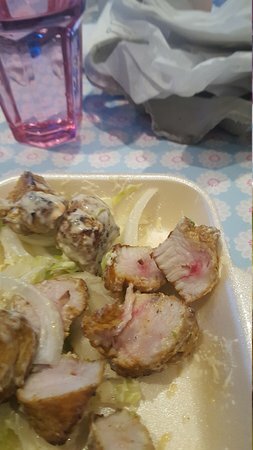 09/04/2019: Arrogant staff got my order wrong made me feel like was my fault got it home tiny portions £6 meat and chips when I literally got meat and salad . Avoid this place and get them shut down !! 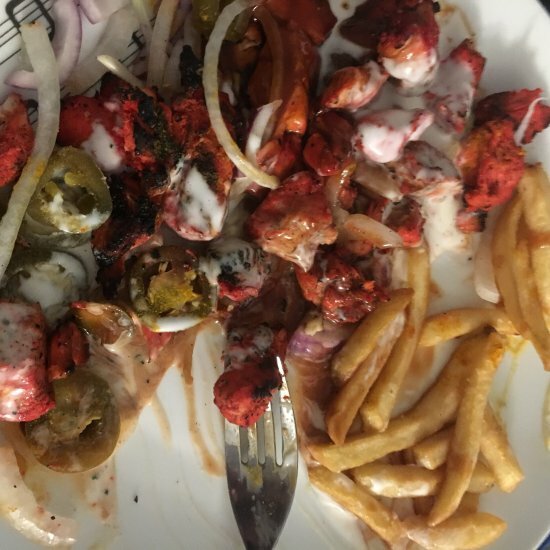 18/03/2019: I cant say much about kebab and other food, as I have only had pizza there. But staff are very friendly and the pizza are lovely, it surprised me as I have tried other pizzas in kebab shops and have been very disappointing, however the pizza here are amazing! 13/02/2019: Ordered Half pounder with cheese and 2 kebabs Burger was juicy and cheese was delicious, the kebabs were flavourful and were not dry. Very impressed Delivery took 20min to get here which is fast and food arrived hot which shows it was made fresh. 27/10/2018: Ordered food from here this evening, it gave the option on our meals if we wanted all salad, I chose that option for both our meals.. I also then chose lettuce, tomatoes & onions.. there was an extra box on both options for coleslaw.. I only opted for that for my own, my partner doesn’t like coleslaw & especially mayonnaise! Our meals arrived & my partners meal which was the x large mixed shish at £9 a pop was smothered in coleslaw!! Now at that price I phoned to complain, this is the best bit by far.. the disgruntled manager who I spoke to, chose to place the blame on my ordering skills.. even though he clarified my order.. he then chose to blame me.. even though it was stated that I had not ordered coleslaw, apparently when you choose all salad it is included?! Then I was extremely politely told to f@ck off!!!! Always enjoyed the food here.. safe to say I will never purchase or encourage anybody I know to from this establishment again!! 23/02/2019: He estado viniendo a Jalapenos por muchos años y no puedo criticar la comida o el servicio. El personal es muy amable y te dan la bienvenida. Algunas de las ofertas que tienen tienen un valor fantástico, incluyendo las ofertas de pizza. Siempre frescos chiles verdes disponibles, que es una necesidad en mi pizza. 17/11/2018: Really impressed with how friendly the staff are here, they were welcoming, helpful and nice. The food is cheap and cheerful, can't fault it. There's even a tv showing cartoons to keep any waiting children entertained. 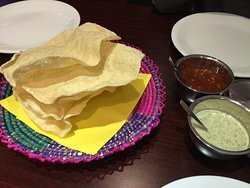 04/03/2019: Lahore Kebabish on City Rd, Cardiff is a lively restaurant with an excellent menu. The food is prepared within view. All the dishes and breads were fresh and delicious. Recommend. 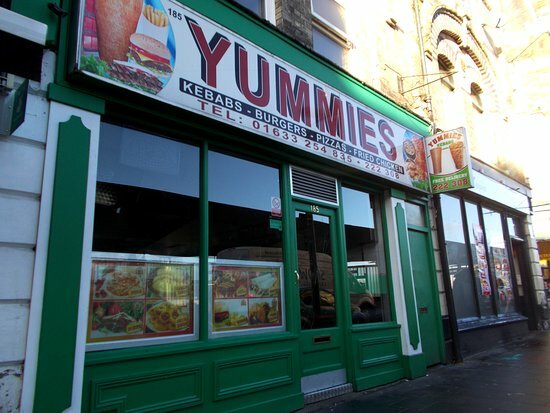 20/03/2019: My partner and I went here for lunch and was utterly disappointed. The Manager was a rude tall man who was consistently shouting at his staff. Poor girls didn’t know what to do. He just continued to shout at them. After waiting over 20 minutes for our wraps we were very disappointed. He had got the salads completely wrong and the wrap was soaking wet. Way to much oil was used. Maybe If he spent as much time making his food a good standard for customers as he does shouting at his staff then maybe we would of enjoyed our food. Never eating there again. 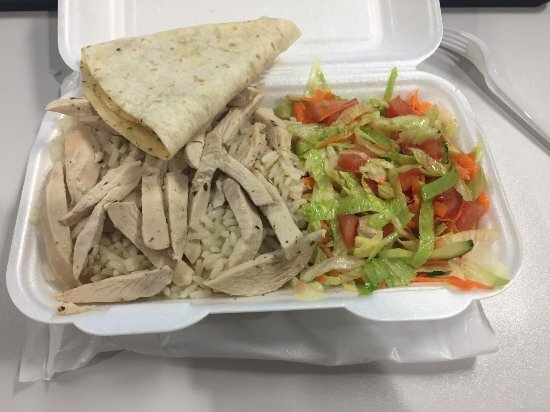 30/10/2018: Lamb is so nice in the wrap and roll with salad and spicey sauce. Its so tasty and just makes you want more. Will definitely come back.